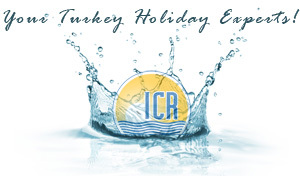 Tursab Bonded Travel agency, based in Icmeler, Turkey and Liverpool, England with partnerships to Global Tour Operators. Over 10 years of history & experience in online travel business with a high reputation in the market as well as endless tools to help solve issues promptly. Professionalism and friendly approach in meeting your needs, ensuring everything runs smoothly from the start of your holiday to the end. 24/7 Emergency Call centre to meet your expectations at every minute of your holiday in the resort. Across the street from the new Icmeler Park/Square in the centre of Icmeler. Holiday Booking Centre for Marmaris, Turkey.